There are many factors that go into the termite treatment cost. It is traditionally considered to be one of the more expensive aspects of pest control, but the costs that come from the damage they incur are even greater. If you live in an area where termites are prevalent, especially subterranean termites, termite control is a necessity. Now that you have read our guide on how to get rid of termites, let’s get into understanding the costs and what factors are used to determine the cost to help you make better, more informed decisions regarding termite treatment. Size of structure being treated – The size of the structure is probably the first consideration. Typically, the base price is for a home that is up to 200 to 300 linear feet, although that can go up or down. Houses that are larger will incur an additional per linear foot charge which averages around $6 to $10. Type of termites – Subterranean termites – specifically Formosans – are expensive to treat and guarantee. Drywood termites can be expensive too though. Once they are in the home, the house will often need to be tented. This means that all people and pets will have to be out of the house for a certain amount of time, usually a few days. Geographical region- Where you live can have a significant bearing on what you will pay for termite control. In areas where Formosans are more prevalent will typically have higher costs, but also higher income/cost of living areas will be more expensive as well. Treatment that is used – The best type of treatment for subterranean termites is a two-step process that includes bait in a baiting station and termiticide. Sometimes it is necessary to drill holes in the foundation to get the treatment to the areas where it is most effective. This can increase the cost. Whether it is an initial treatment or a subsequent treatment – Usually, it is the initial treatment that is the most expensive. During this time the technician lays the groundwork by setting up baiting stations, drilling holes in the foundation and more. Subsequent treatments typically do not cost as much, mainly because the set-up has already been done. Number of treatments required – If there is more than one treatment this will definitely increase the cost of termite treatment. Under a guarantee, if it takes more than one application of product to eliminate termites, they may be free or heavily discounted. Again, the exact amount depends on the type of termite, the area, and other factors. Preventive measures that are put in place – Often when a termite infestation is discovered, preventive measures are incorporated into the treatment. Baiting stations and barrier treatments that are in place can lower the cost of treatment if the home becomes infested anyway. This is not common but it does happen – and it doesn’t necessarily mean that your preventive measures did not work. The type of pest control company that you choose – Costs can vary if you choose to go with a national pest control company or a local one. 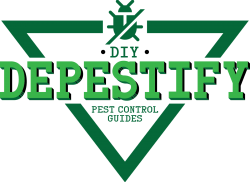 You can also opt for do it yourself pest control, but that is usually not recommended for termite treatment. The location of the termite infestation – The infestation location plays a large part in the treatment cost. If the location is difficult to access or if it requires more involved measures such as drilling the foundation or getting inside the walls, this will usually drive up the price. The age of the termite infestation – The longer a termite infestation is left untreated, the larger and more destructive it becomes. The larger it is, the more it costs to get rid of it. The more destruction there is, the more expensive it is to recover and repair. The size of the infestation – Subterranean termites, particularly Formosans, can build massive colonies with populations in the millions. The larger the infestation, the more it takes to manage it. It just stands to reason that infestation size would affect the cost. The type of termites – Formosan termites are notorious for being expensive to treat. The species of termite can affect the cost because characteristics of certain species include large colonies and aggressiveness. Most people do not give much thought to termites until they discover that they have an infestation. National pest control giant, Terminix, estimates that the average cost of eliminating termites and repairing all of the termite damage is $8,644. When you look at it from that perspective, the cost of taking preventive measures or even eliminating a termite infestation in its early stages, the cost seems much smaller. What is the initial fee for treatment? What treatments are included in the agreement? Are there additional costs for termiticide and other materials used in the treatment? Is retreatment included in the agreement? Does the agreement cover future damage? What are the limitations to the agreement? What are the agreement’s exclusions? If baiting systems are used as part of the service agreement, what is the monitoring schedule? The first time you schedule a termite inspection, always get the estimate in writing. This protects you from any unfair practices and locks in your cost (although it can go up or down once service has begun – but your technician will explain any additional charges to you). Make sure that all pertinent information is included in the estimate, such as type of termite treated, proposed treatment, and any guarantees, limits, and exclusions. 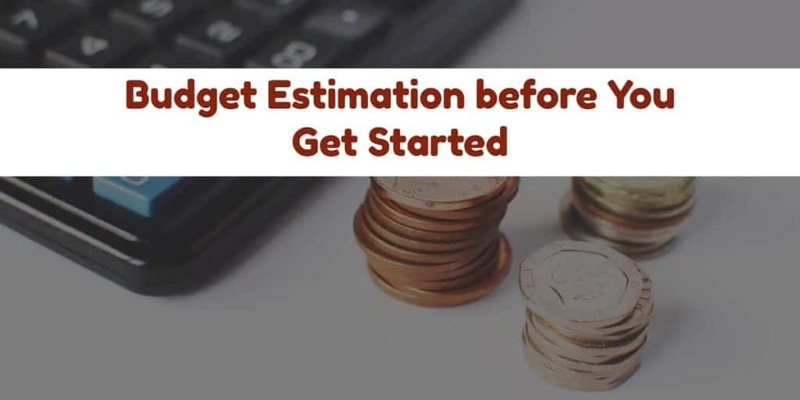 It is smart to get several written estimates so that you can compare services and costs to find the termite treatment that is best for your situation. You may want to get estimates from both local and national companies. You should also ask the same questions that are outlined in the guarantee and service agreement section. This will give you a clear picture of what you can expect regarding service and just what you will get for your money. You will also have written documentation so that if there is a discrepancy in what the company promises and what you receive, you have proof of what the company is supposed to do regarding termite treatment. Many companies offer free termite inspections. This may seem very attractive on the surface, but beware of hidden costs or limits. Always get a written estimate though. Any reputable company will not have a problem providing an estimate of their services and costs in writing. At a termite inspection, you will schedule an appointment just as you would for any other pest control service. The technician will come to your property and inspect your home and property. They will look for signs of termites as well as termite damage. This takes around 15 to 30 minutes, although it is not uncommon for it to take longer. After the inspection the technician will discuss with you whether or not he found termites present, what your options are for treatment, and an estimate of how much it will cost. Get all of this information in your written estimate. After you vet two or three companies, you can make your choice and begin your termite control or get rid of termites in your home. Information is subject to change due to rising or falling costs for termite control services and other factors that determine the cost of termite control in any given area.